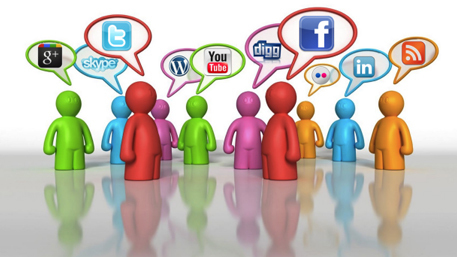 Choose to manage your social media yourself or let our experts manage everything for you. When it comes to social media content, we do not provide cookie-cutter solutions. Our expert professionals at MS Eye will first profile your company after taking a detailed look at the products and services you offer. Accordingly, we will then create a bespoke promotion program via FaceBook and Twitter that’s custom-designed for your business. After you’ve completed the branded profile document, our business profiling team will set about creating high quality social media content that is relevant to your brand profile. We do not limit our content to your products and services. Instead, we will browse through your website and pick interesting and useful tips, trivia and industry facts to use in the content. We also integrate photographs into your social media campaign. You can either provide us with photographs relevant to your business or we can look for appropriate royalty free images that can be used for the purpose. We are confident about the quality of our content and are sure that you will love it. We’d still like to give you the final say and for that we would be happy to schedule at least 7 days in advance so you have ample time to review or update the content. Before any content is posted, our admin team checks and double-checks it for spelling, grammar and localisation depending on your target country. There is no ongoing contract for any account – you are free to leave whenever you like. Use it to make your existing social media team more efficient or leave us to manage everything. Once your social media campaign is launched, we work on tracking clicks, links and geographical locations. This data can be assimilated from your exclusive control panel in the form of responsive, interactive charges and graphs. You always have full control over the content of your posts as well as the posting scheduling. We typically schedule at least seven days in advance but you can log in any time and edit or re-schedule the posts according to your requirements. All of our team members are native English speakers so you can rest assured that all of the content will be written in impeccable English. To simplify appropriate news research, we can set up a few appropriate RSS news feeds in your control panel. With this in place, all it will take is a single click for you to post the news at a schedule of your choice. Now there’s no need to worry about time zones either. Our control panel has been customised to handle time zones so you can review and schedule all posts in accordance with the time zone of your choice.